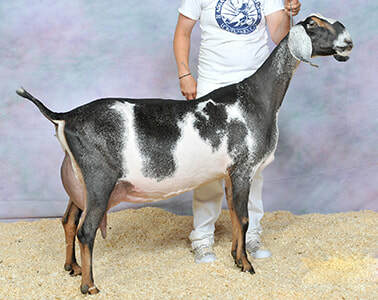 Arista is one of the largest does we have ever bred. 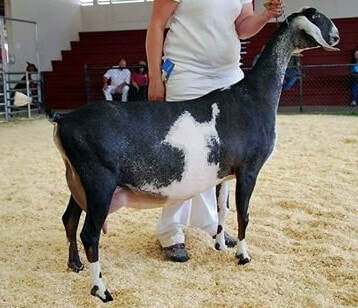 Her size and stature support an excellent, very capacious mammary system which she couples with beautiful dairy strength. As a four year old she milked over 3000 lbs. 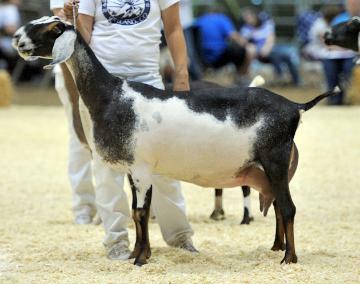 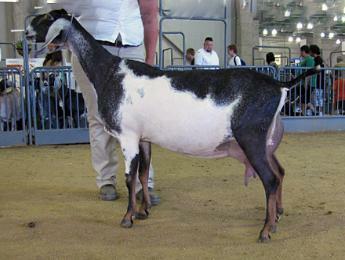 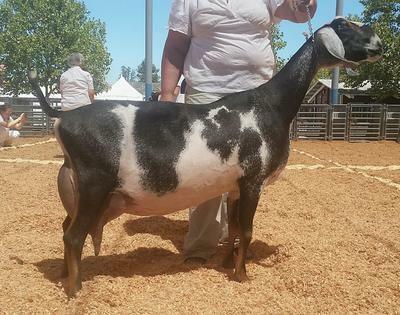 She was the first place three year old and reserve best udder at the 2015 ADGA National Show. 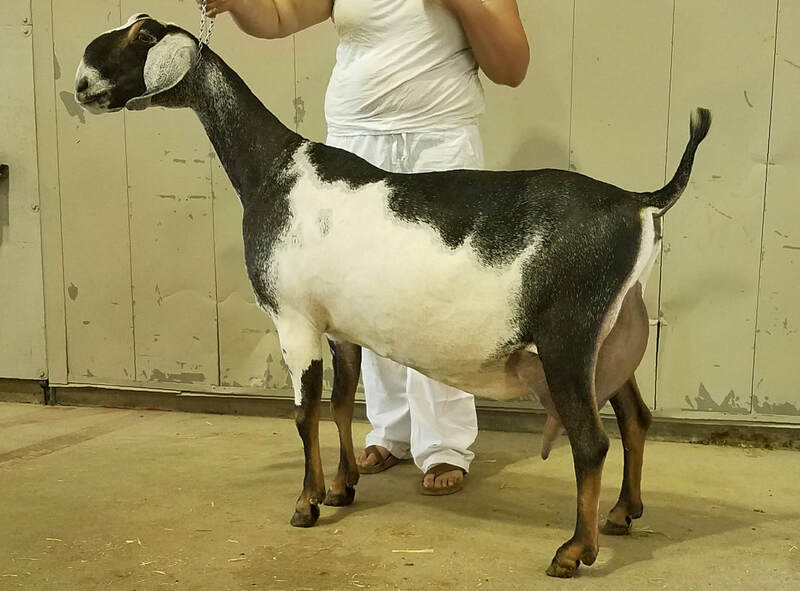 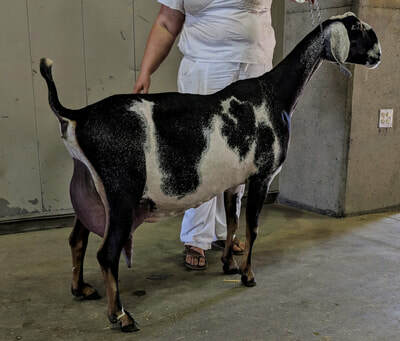 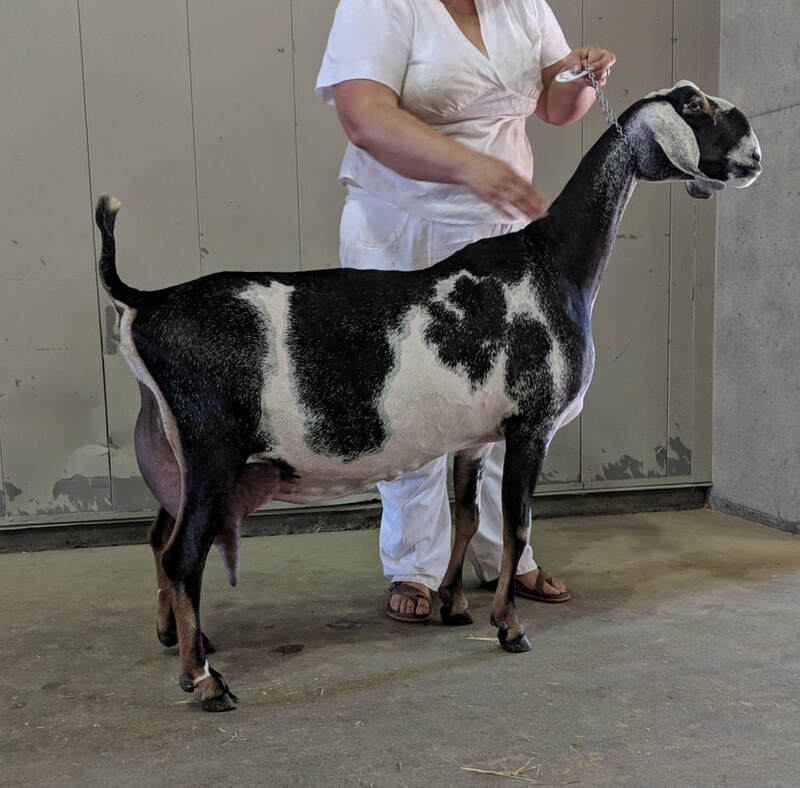 She was first place 5 & 6 year old doe milking on an extended lactation at the 2017 Sonoma County Fair. 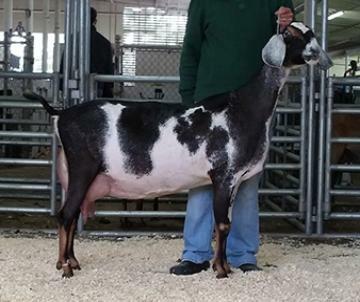 This year as a six year old she peaked at over 14lbs and appraised EX 91.